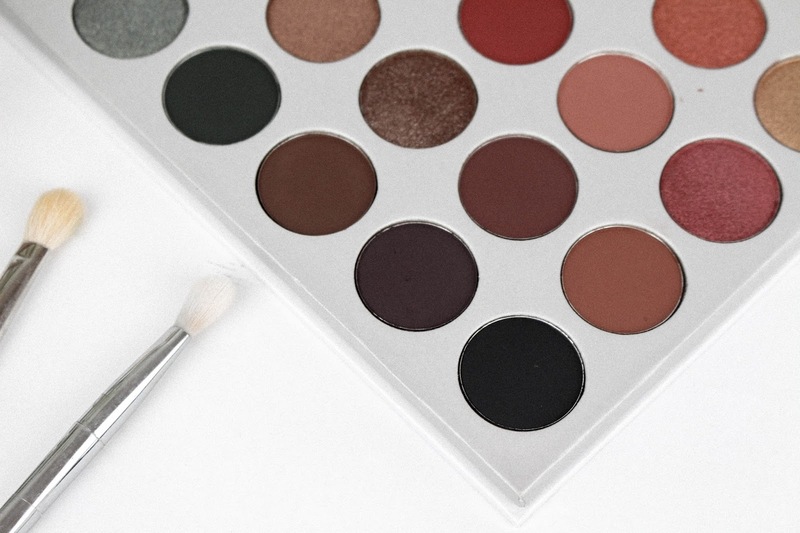 As you may have seen in my 2017 Best of Beauty post I mentioned how much I adored the Jaclyn Hill X Morphe palette and I thought for this weeks post I’d give you a break down of the palette and all my thoughts on it. A long time watcher of Jaclyn and her videos she was the woman I learnt all about makeup from. I have been watching her for years and to date I still remember stumbling across her ‘CLUBBING MAKEUP TUTORIAL’. From here I learn’t how to do a smokey eye which to this day I still recreate this look. Now it was no surprised when this palette was announced that I immediately marked the release date in my diary. This palette is very much and Erin palette. The brows the oranges, the over all warmth of this palette made my eyes light up. It had to become apart of my collection. As soon as this became available on BEAUTY BAY for £37.00 my bank card was present. Now when I do these reviews I always give you guys my honest opinion of the good and the bad and I wanna start with the bad and get it one. Technically there is nothing bad about this palette it is probably the best quality palette I own without a doubt. My only negative is 4 shades. The purple, navy and the two greens. 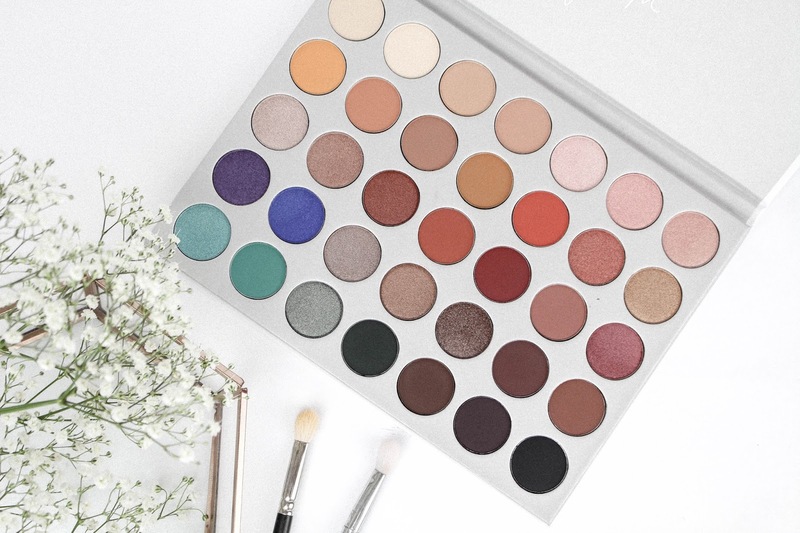 They just are not me and thats totally fine because they are Jaclyn and she created this palette with all her favourite colours in mind. Colour that are beautiful they just don’t suit me personally. However on the flip side, it just means that I can experiment with the colours and did no way did the four shades put me off buying it. The good. A list the length of my arm as to why I adore this palette. The colours apart from the previous four mentioned are just heavenly. 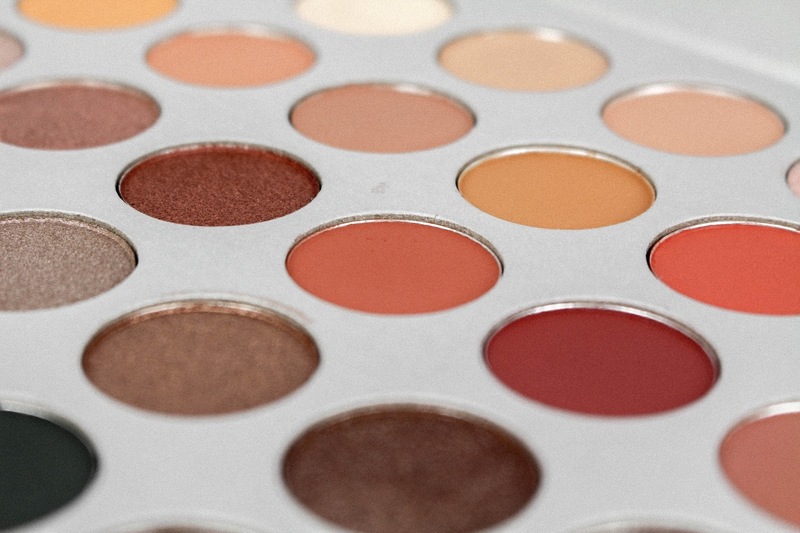 I could easily donate my other palettes and shadows and live of using this palette for the rest of my time on earth. 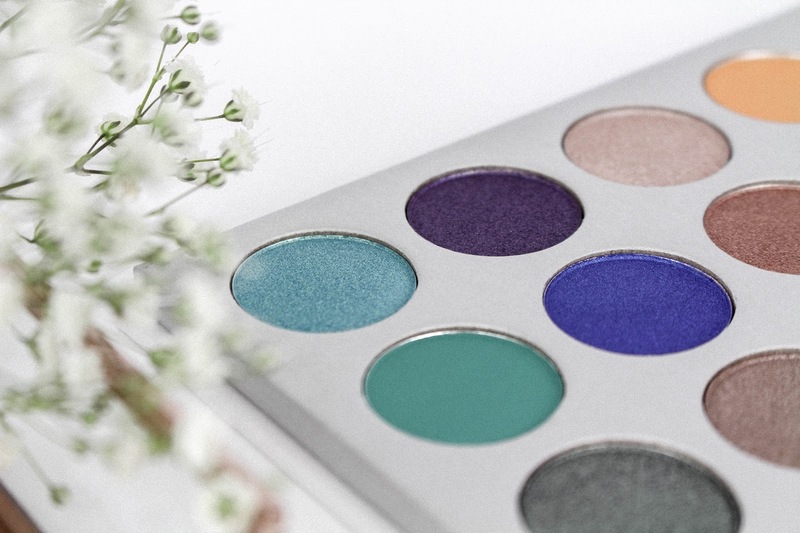 The amount of colours (35) gives you endless possibilities of eye looks. I have to say my favourite shades in the palette has to be the yellow mustard, the burnt orange and of course the metallic orange shade. I also love that this palette goes from a super light cream shade to a very deep dark browny/black. It really is a palette of custom combinations of endless creativity. Jaclyn and Morphe really hit the nail on the head with these formulas. By far these eyeshadows are the best quality shadows in my collection. I love a glitter eye look, metallics, foils everything I love it all. These glitters are just insane they are highly pigmented like all the other formulas but they actually apply beautifully. I have trailed them with multiple brushes and I literally get not a spot of fall out where as other glittered shattered I own drop all over my face and create a messy faux freckled look. I think the glitters being so amazing the apply and blend really did only sell this palette to me more. The packaging is simple, given. However, in one of my last reviews I really touched upon over the top tacky packaging was such a turn off. For me this simple design and lightweight of the cardboard just makes it easier to travel with despite being large. With the palette being large it also means the pans are also and they measure up to be around the same size as MAC, MUG and NYX. Plus there is 35 shades you know that’s going to fill a large palette.